← Tales from the City- Passing some Gas at the Gasometer! 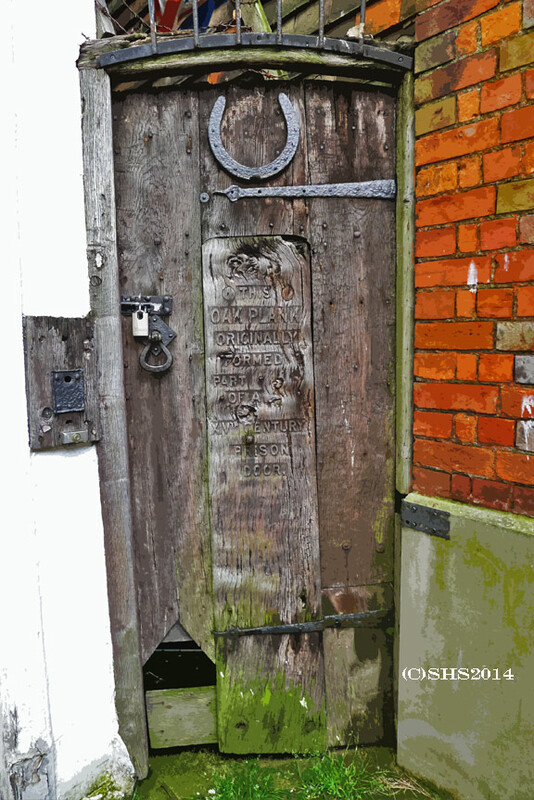 On the way to Simon the Pie Man in Rye, I made a wonderful discovery-a little side gate door! The middle board has been reused to make this old wood door. It reads, This Oak Plank Originally Formed A Part of a 14th Century Prison Door. What a great salvage! The upside down good luck horseshoe looks just as old! Gallery | This entry was posted in Architecture, Doors and tagged Doors, England, English Prison, Kent England, Oak, Rye, Rye England, Simon the Pie Man. Bookmark the permalink. Thanks Prior, It was a lovely little sandwich tea shop! We got there just in time for a pot of tea before closing hour! Phew! well a reblog on the door blog would share it with even more – so can I reblog?